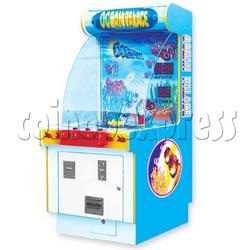 Players insert coin(s) and decide which marine feature to bet on. A light then spins around the board like a roulette wheel and stops on a feature. If the light stops at the same marine feature as player pick, he win. Two colors are available; the photos in the screen shot are as reference. Notes: More favorable prices for container order.